Read our helpful guide to second hand BMW 750. AA Cars works closely with thousands of UK used car dealers to bring you one of the largest selections of BMW 750 cars on the market. You can also browse BMW dealers to find a second hand car close to you today. All used BMW 750 on the AA Cars website come with free 12 months breakdown cover. 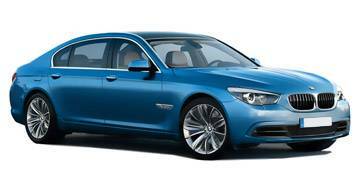 The 7 Series is the biggest passenger saloon in the BMW range and is a luxurious and large limousine, which, despite its purposes as a glamourous chauffeur-driven vehicle, is good fun to drive. The 750 is one of the biggest variants available and features a 4.4 litre V8 petrol engine that produces serious power and push. Despite its size it manages ferocious speed, and makes it to 60mph in a brisk 5.2 seconds, while handling and steering is surprisingly agile and accurate. Ride is good, although not quite as calm and assured as the Mercedes S Class. Run costs are just about justifiable considering the size and ability of the 750 - especially compared to its rivals - but it is not a vehicle primed for efficiency and affordability.